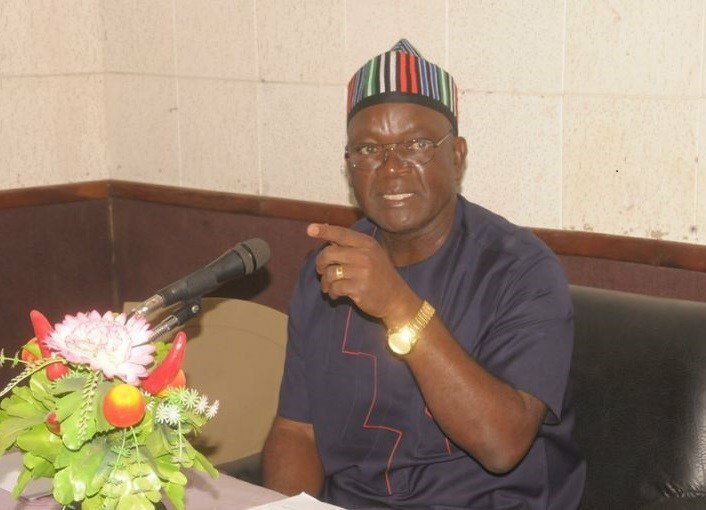 Benue State Governor Samuel Ortom has again raised the alarm over the influx of Fulani herdsmen and their cattle into the state, stressing that at least,15 persons have been killed across four local government areas in the last one week. This is as the Commander, Operation Whirl Stroke (OPWS), Maj. Gen. Adeyemi Yekini, insists that there has been no report of killings by herdsmen in the state in the past months. The governor, speaking to newsmen at the Benue Hotels in Makurdi on Friday, listed the affected local government areas as: Guma, Gwer West, Logo and Makurdi. He said that although the killer herdsmen are not settling anywhere in the state, their modus operandi is to come in, attack in a guerrilla manner, and then retreat. “As I talk to you, almost every day we have records of killings in the state. Killings are going on in some places within the state. Three days ago, four people were killed in Gwer West; few days ago, two people were killed right here in Makurdi, also three were killed in Guma and six people were killed in Logo. “The herdsmen also kidnap people, including livestock guards. But I am yet to get the total figure of those killed because the council chairmen are yet to give me the detail,” he said. The Governor however commended the efforts of OPWS in curtailing the activities of the herdsmen in the state, stressing that, but for the presence of military operations in the state, the situation would have been worse. In statement on Saturday, Commander, OPWS, Maj. Gen. Adeyemi Yekini, countering the governor’s report on the herdsmen situation, said that the force did not receive any report of a single killing or even injury inflicted by armed herdsmen on anybody in any part of Benue State in the past several months. “OPWS has troops in all the areas mentioned, including Makurdi, and there is no way up to 15 people would be killed without our troops being aware of it. Such a large number of killings would have triggered an exodus of people in the affected communities, which journalists would have captured almost as they happen. The Commander, who however admitted that herdsmen have been coming to the state, said hey that they are not armed, adding that his troops are everywhere and have not received any such report of killings anywhere in the state. Yekini stated further that, “there are also other security agencies on ground, including traditional military units, Police, Civil Defence and DSS personnel, who would have filed reports of the killings through their respective channels while also exchanging such information with us. “HQ OPWS is requesting the good of Benue to disregard the news and go about their normal business activities without fear with assurance that OPWS remains resolutely committed to restoring lasting peace to Benue State,” he said.